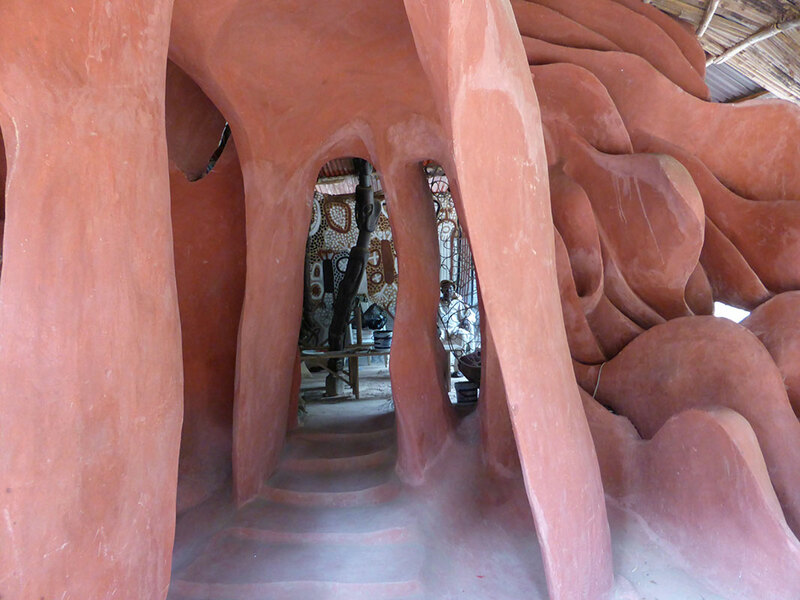 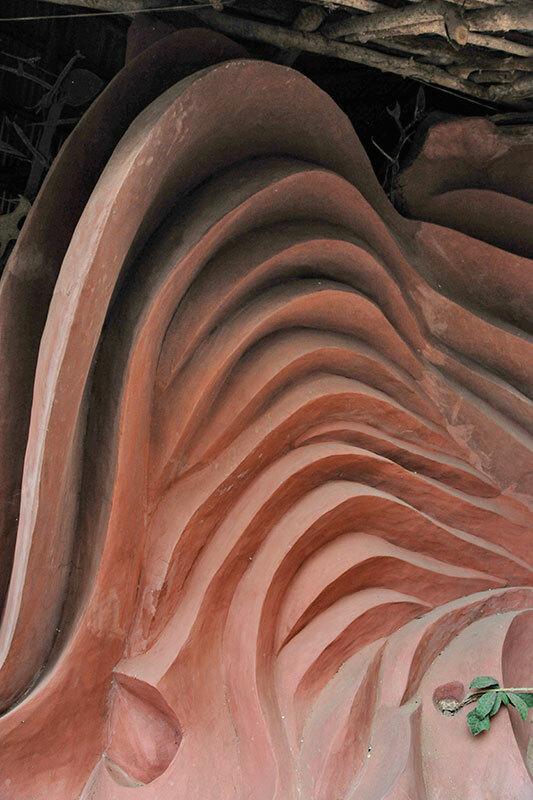 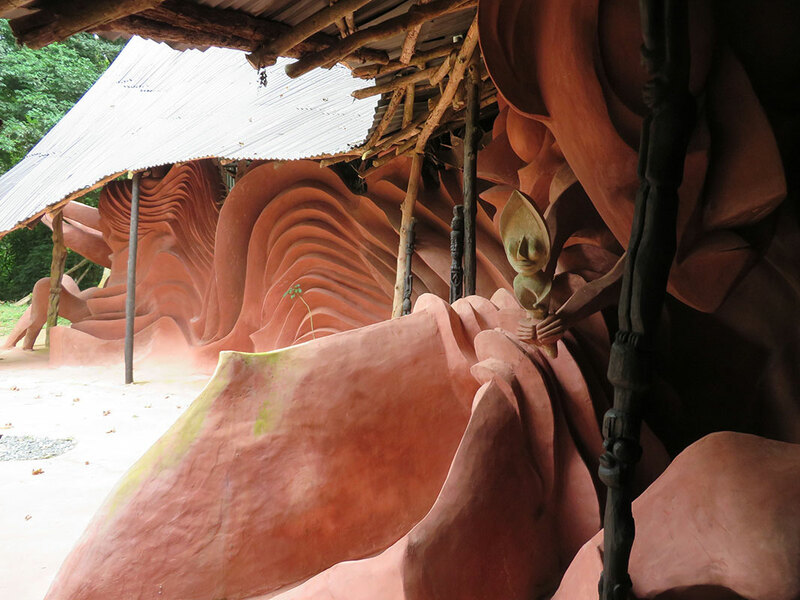 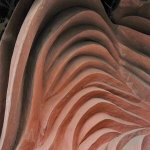 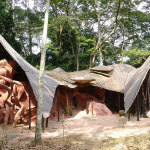 Iledi Ontotoo is Susanne Wenger’s most sensitive and complex architectural creation. 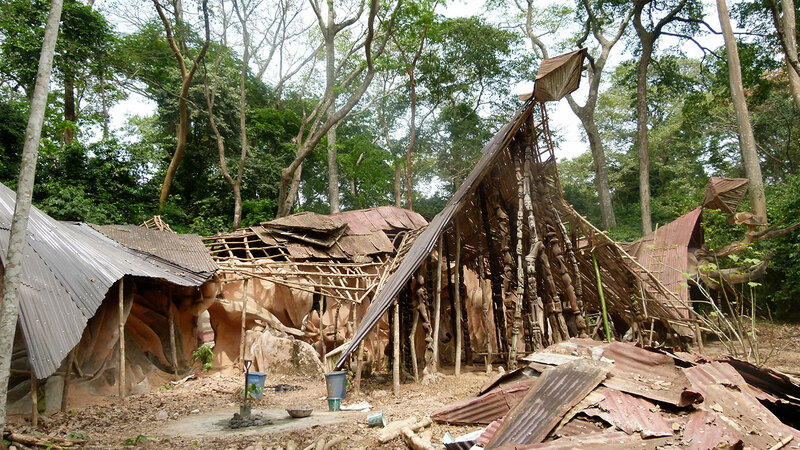 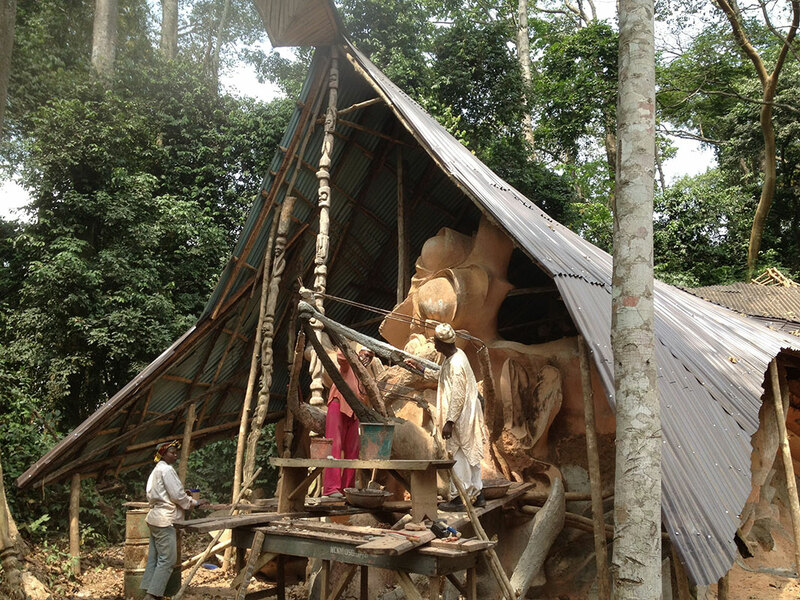 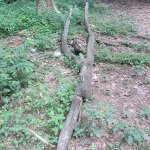 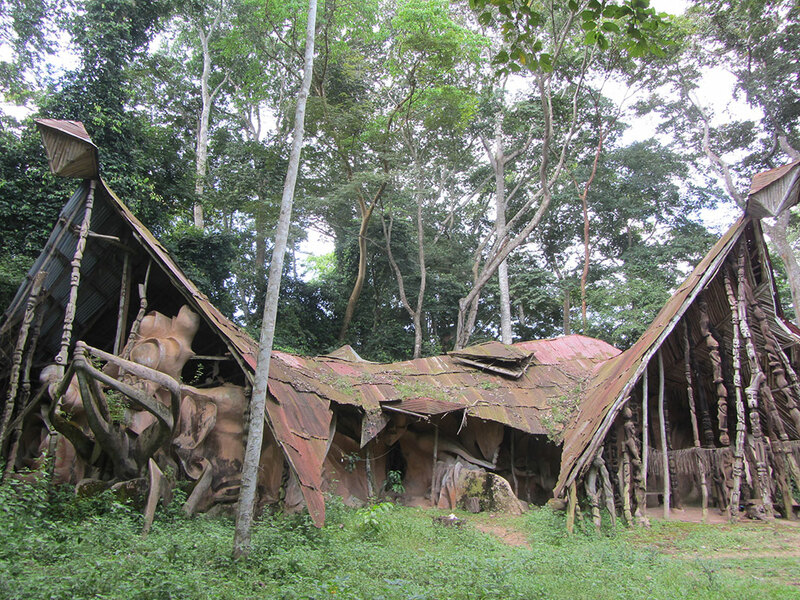 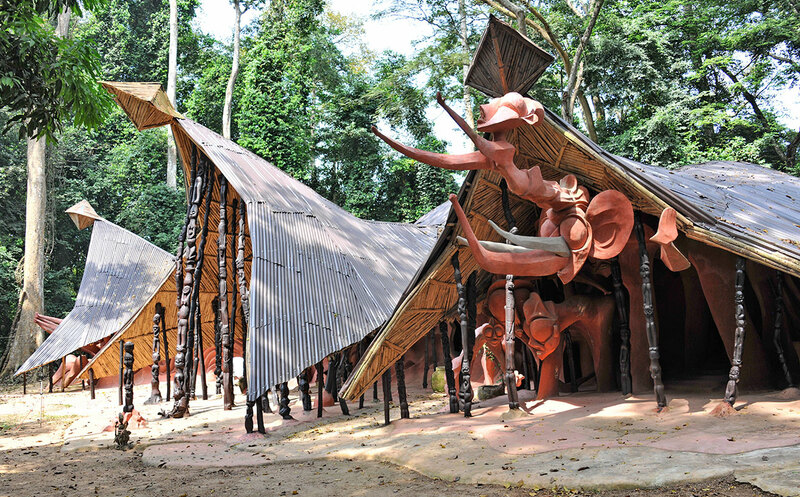 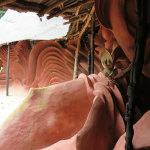 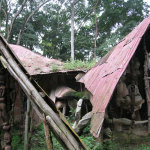 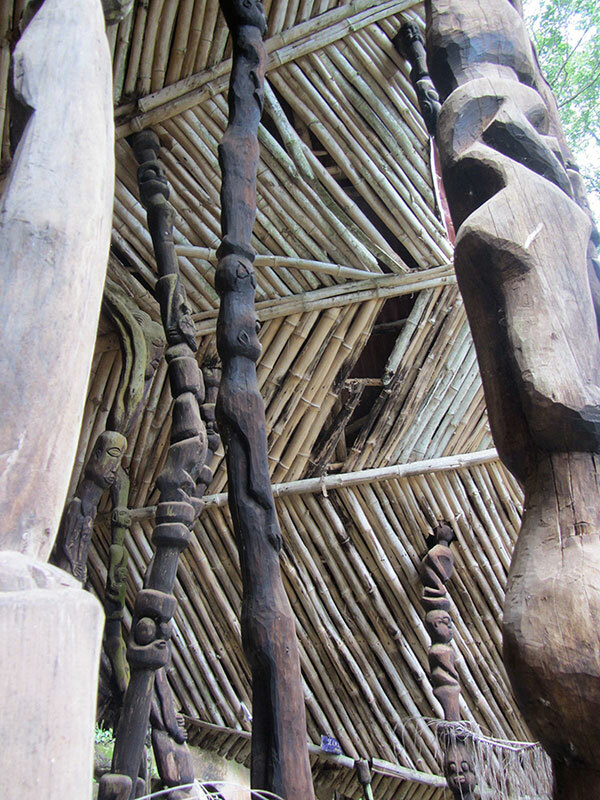 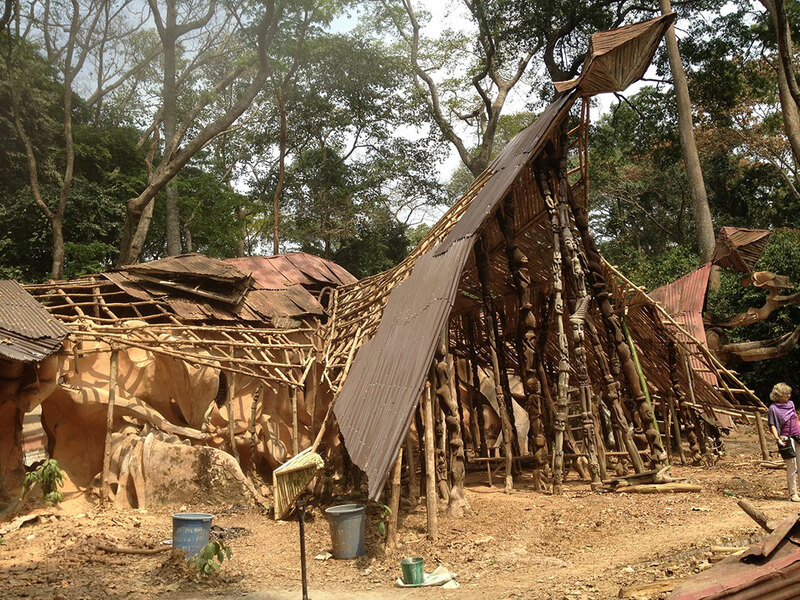 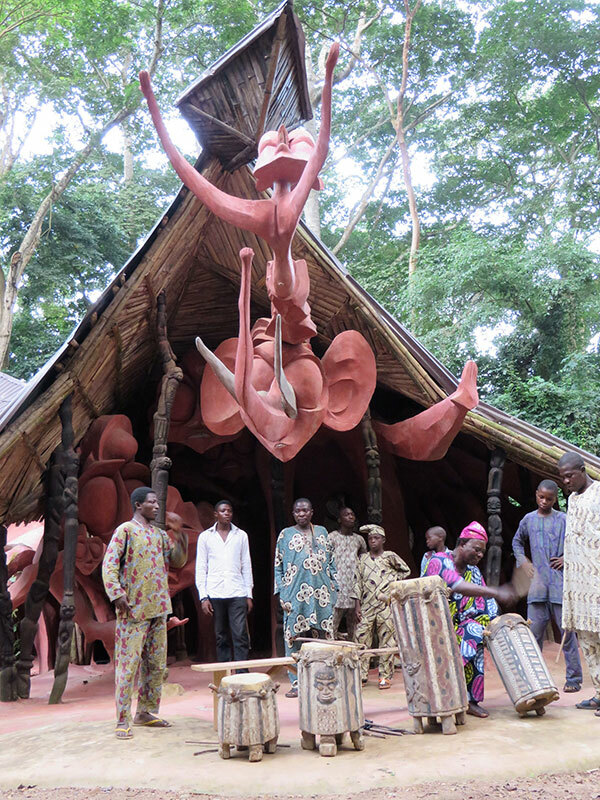 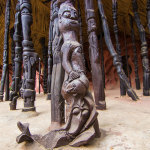 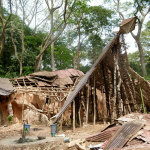 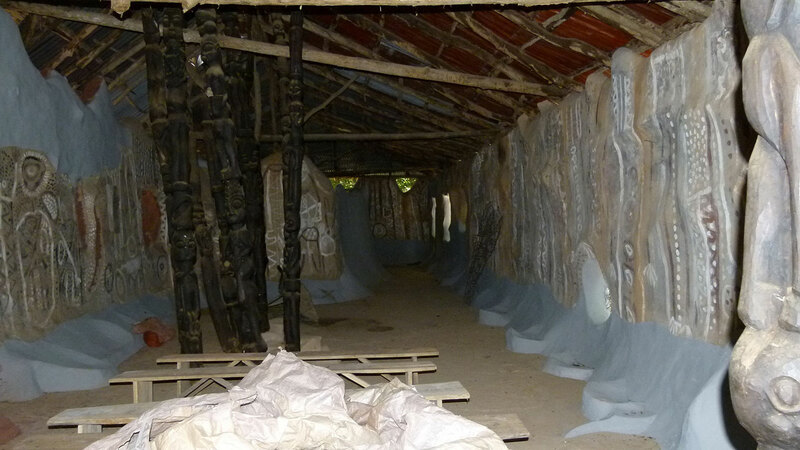 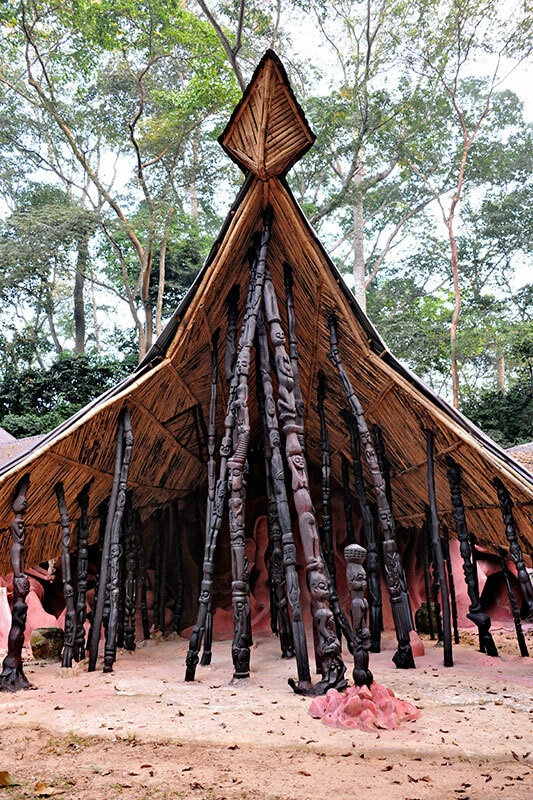 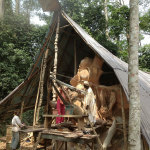 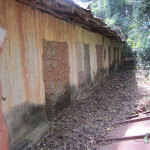 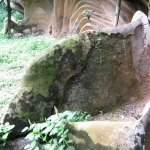 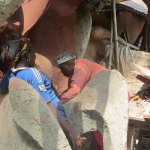 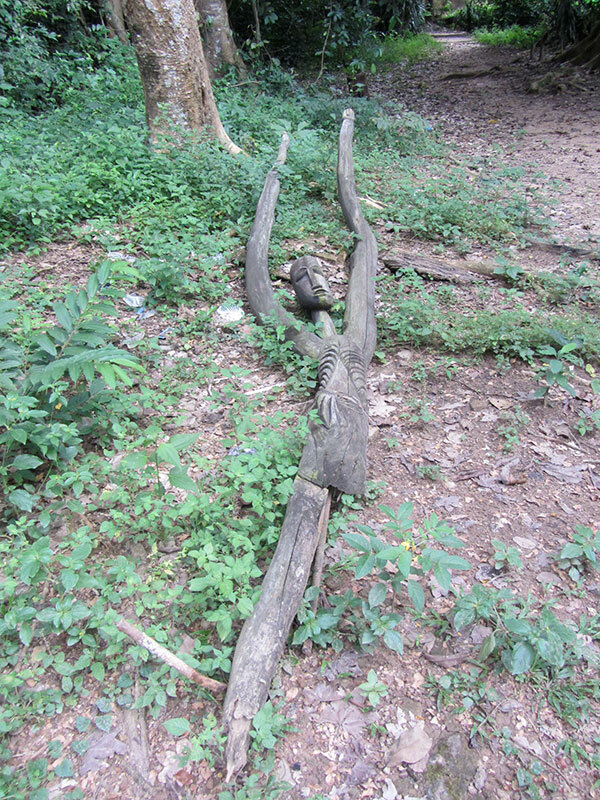 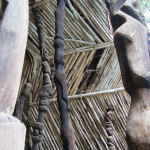 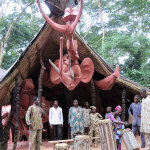 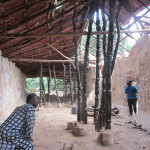 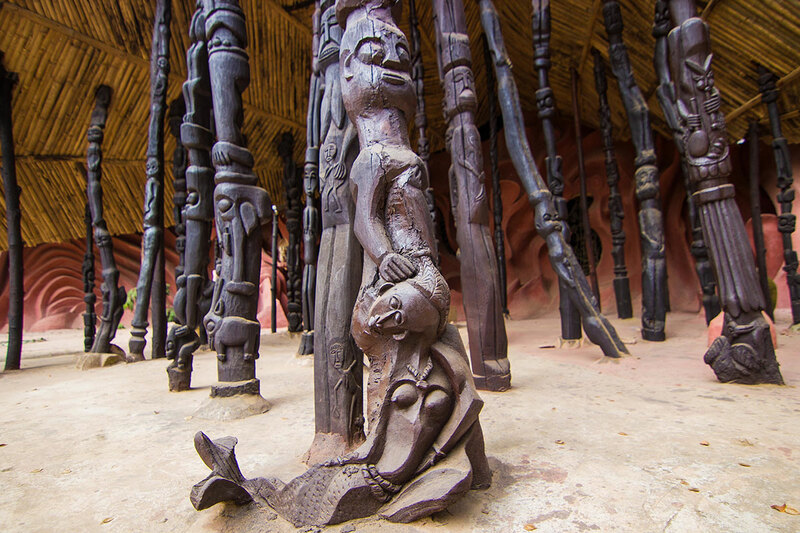 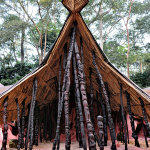 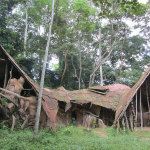 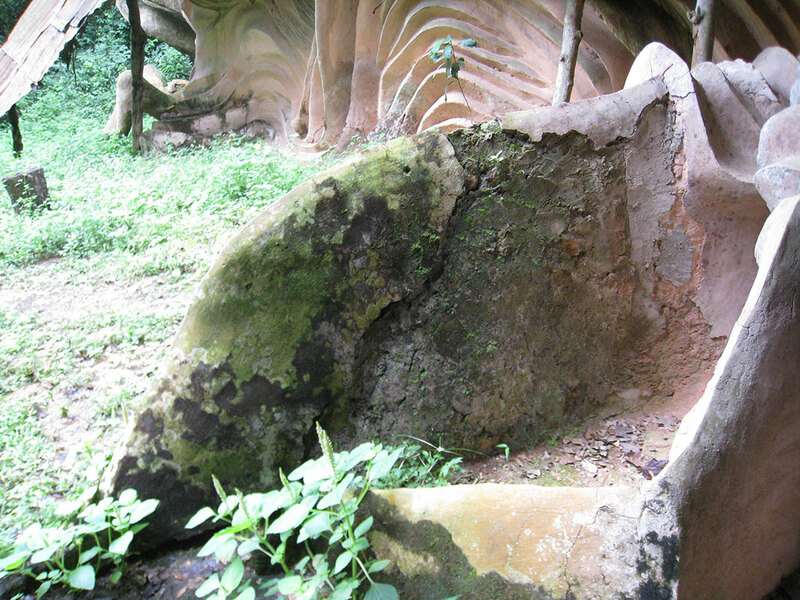 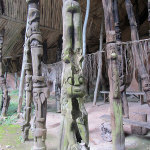 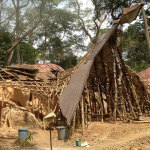 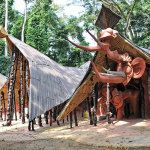 Built in 1975, it is the assembly point for the Ogboni, traditionalists associated with the Earth deity. 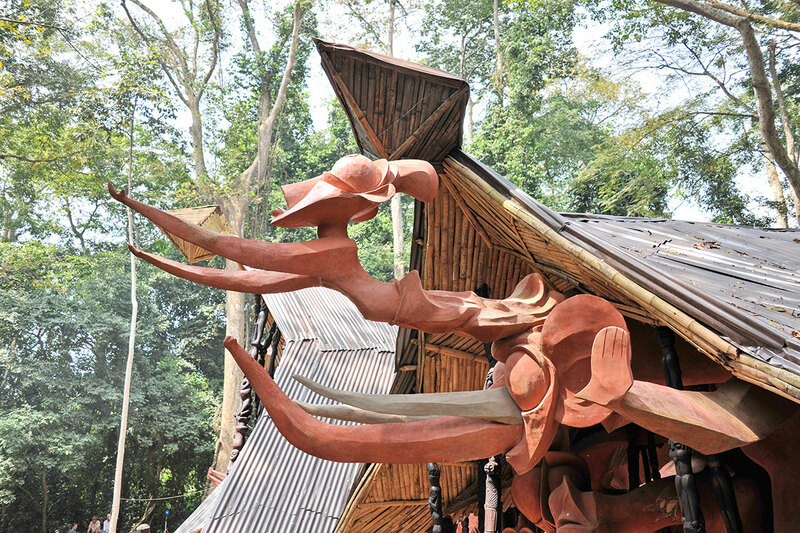 This remarkable structure is composed of three enormous roofs which rise against the sky like giant lizards, representing the forces of the earth before mankind. 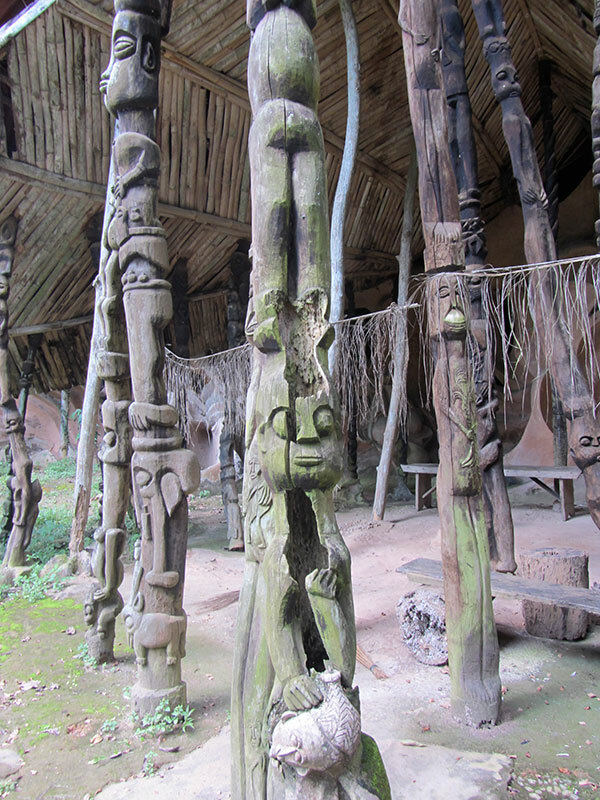 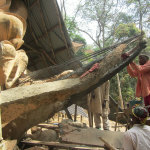 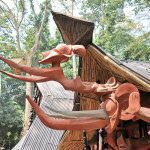 The powerfully sculpted totems that support the three roofs symbolically protect the inner sanctum of the Shrine. 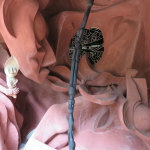 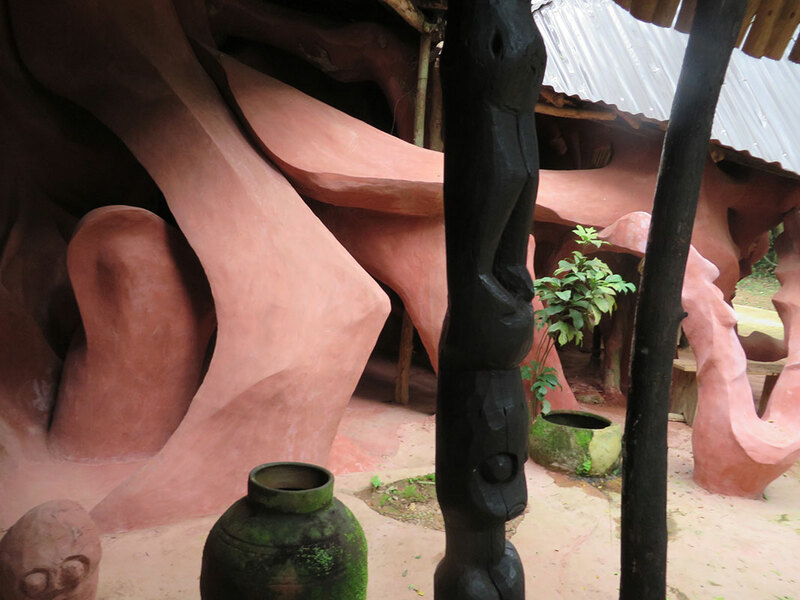 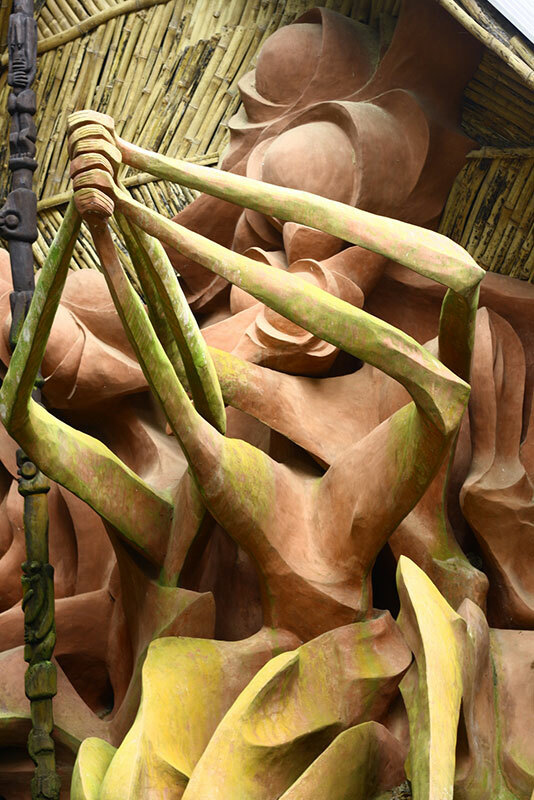 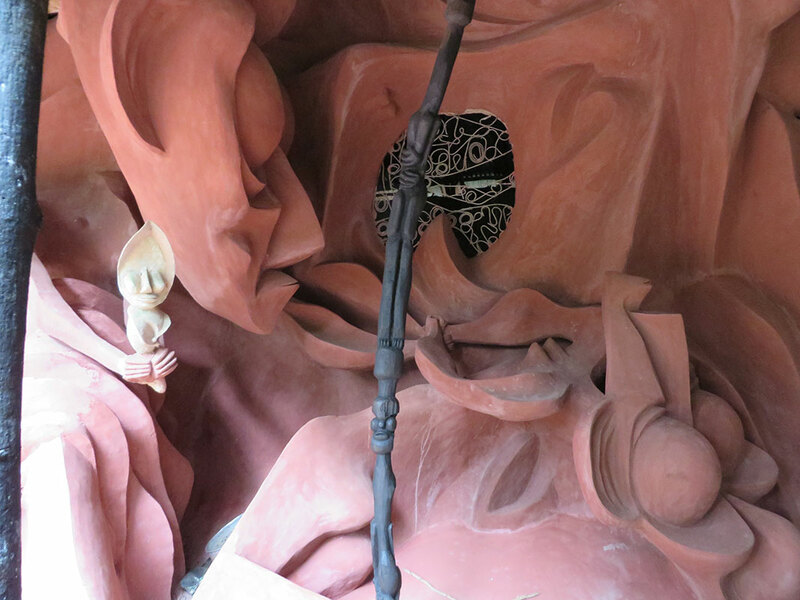 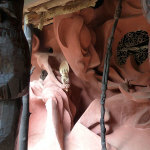 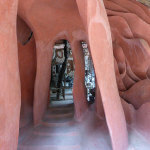 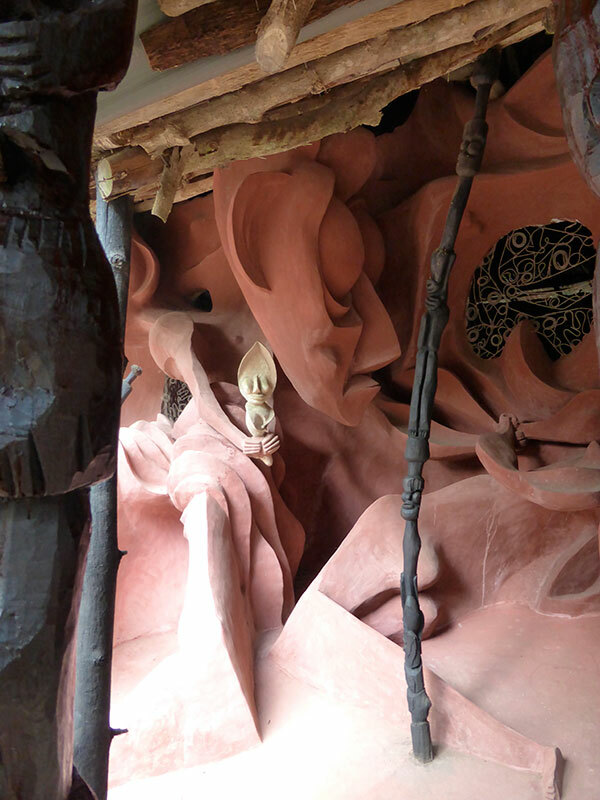 The exterior walls are elaborately sculpted with “rapturously emotional scenes” to use Susanne’s words, depicting interactions with the deities. 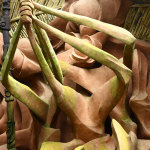 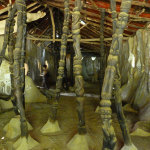 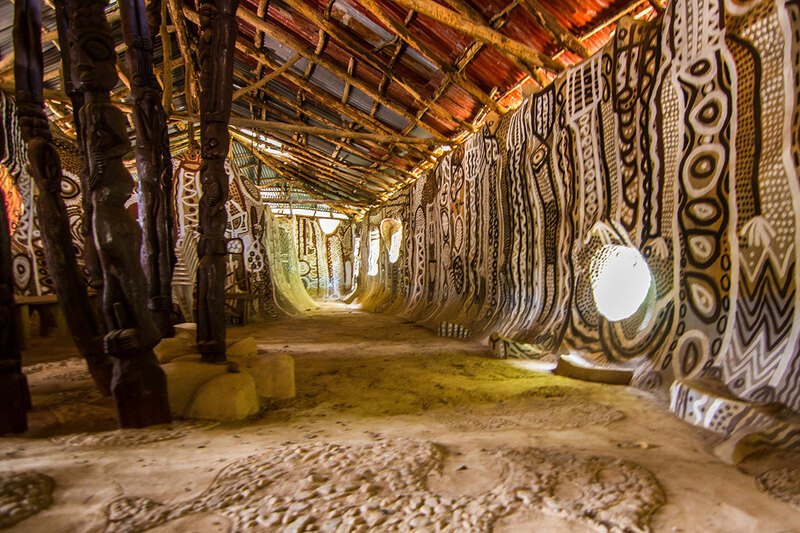 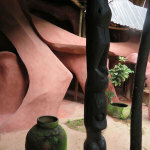 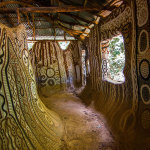 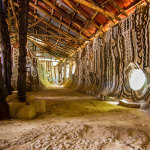 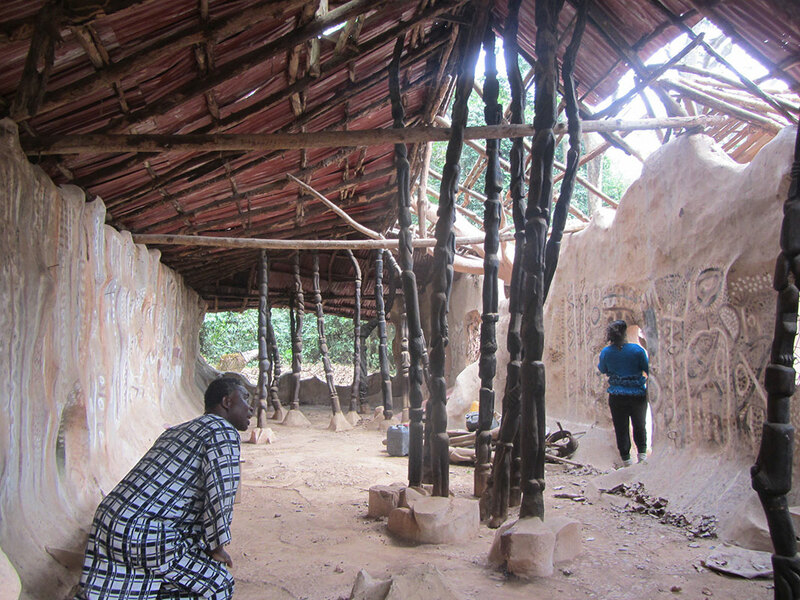 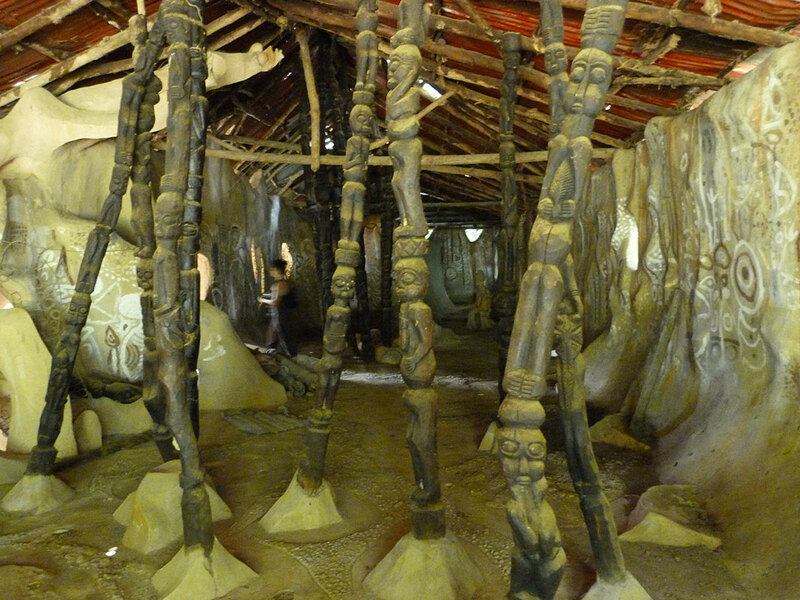 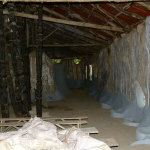 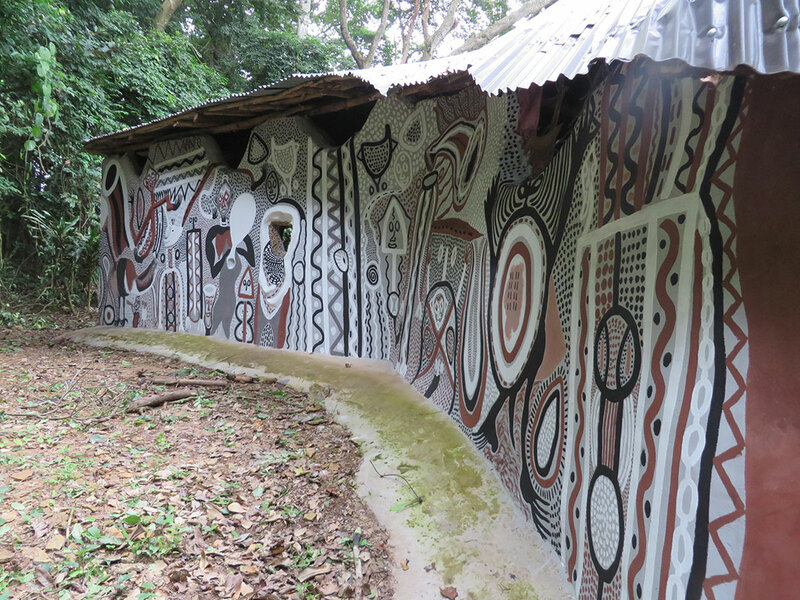 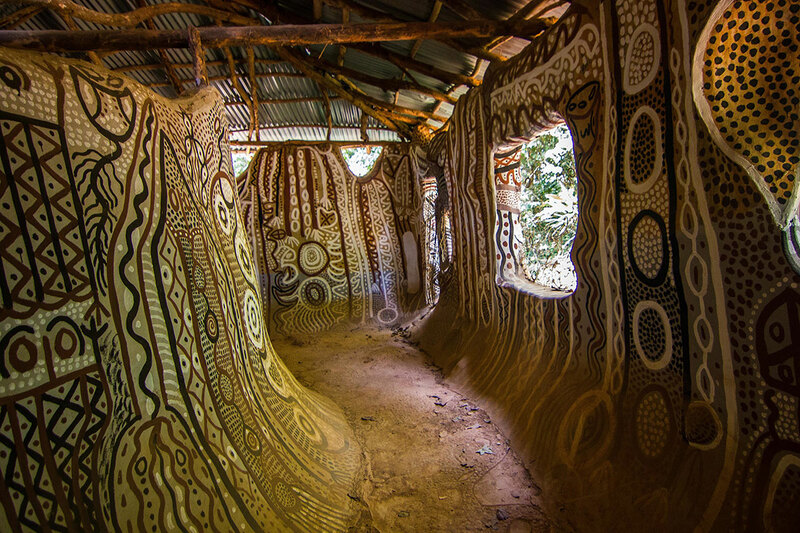 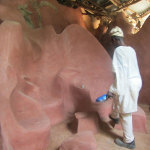 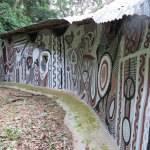 The interior of the Shrine is richly decorated with wall-paintings, a symbolic visual art form unique to the Yoruba which communicate messages to the Gods. 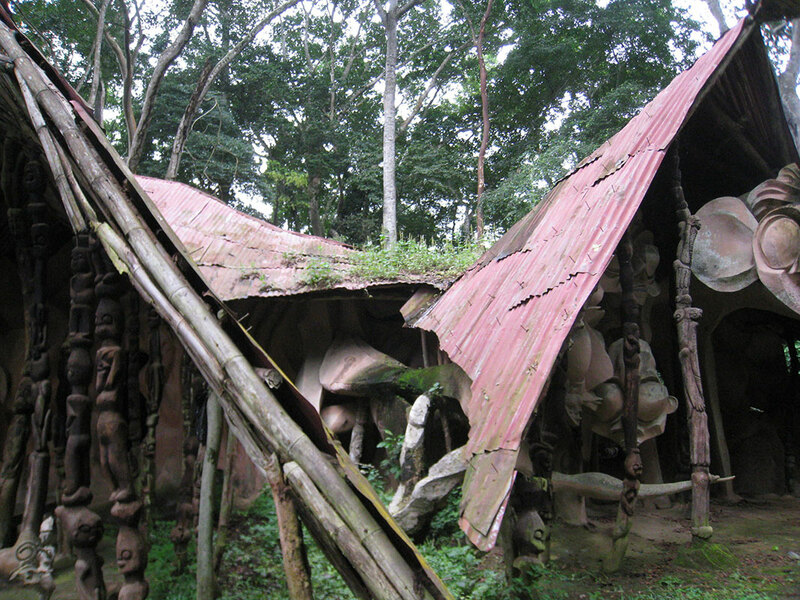 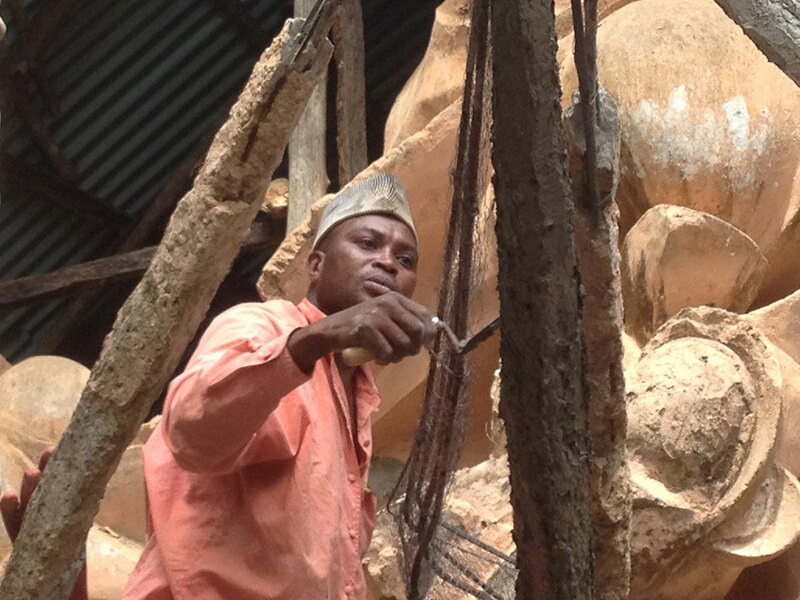 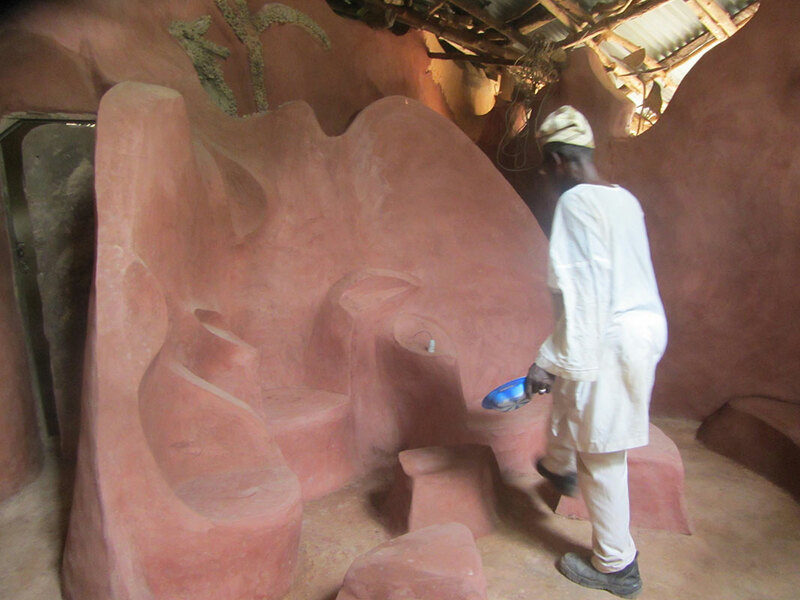 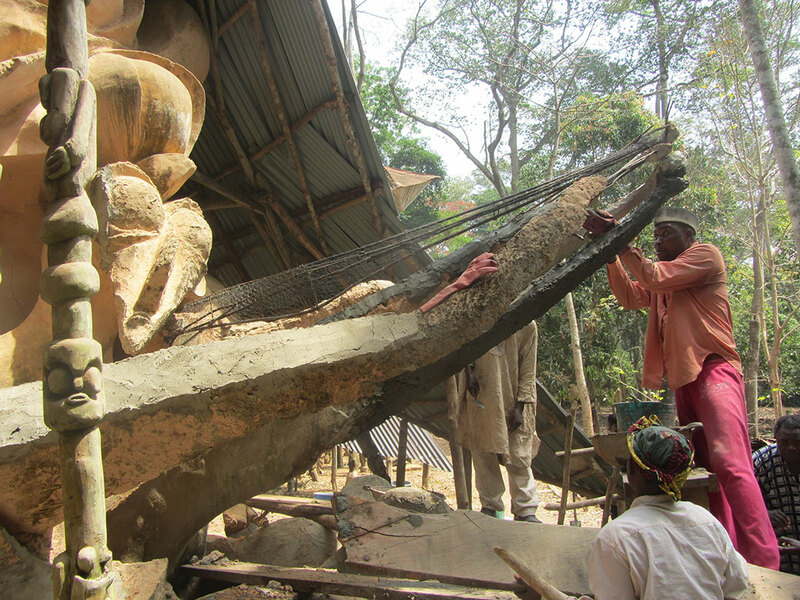 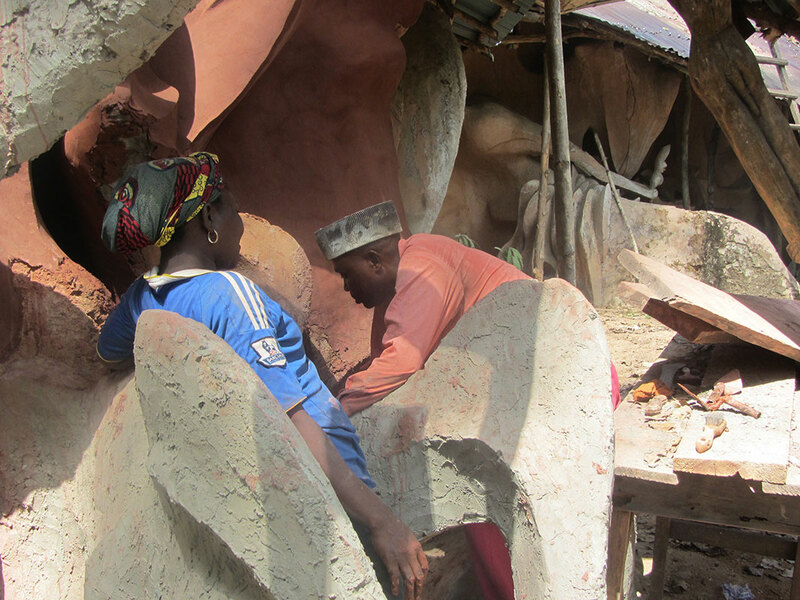 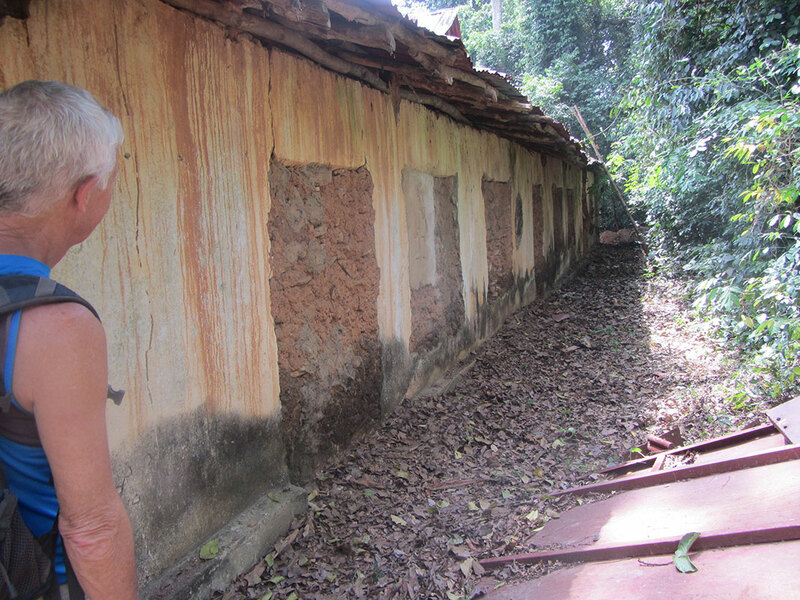 23 people worked on this restoration led by Adebisi Akanji, Susanne’s artistic collaborator on all her major monuments and Sangodare Ajala. 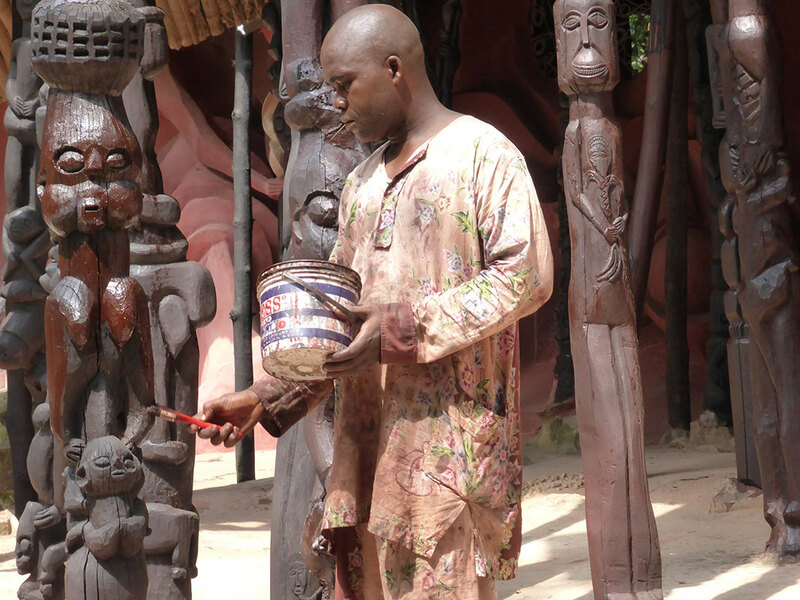 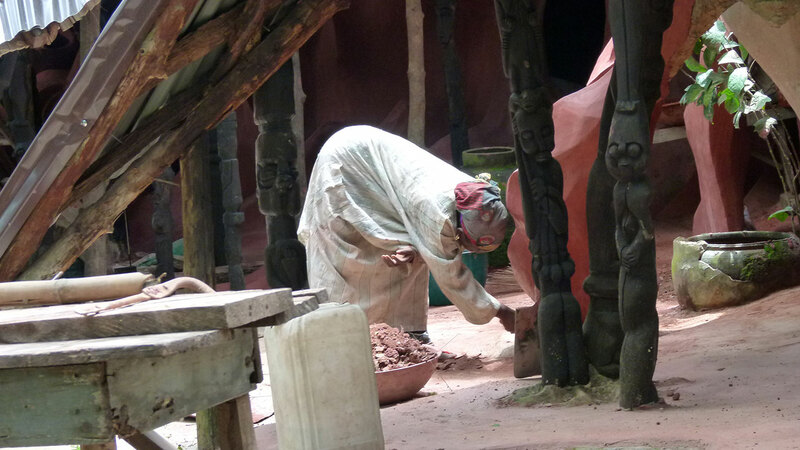 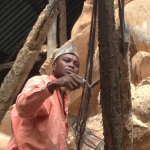 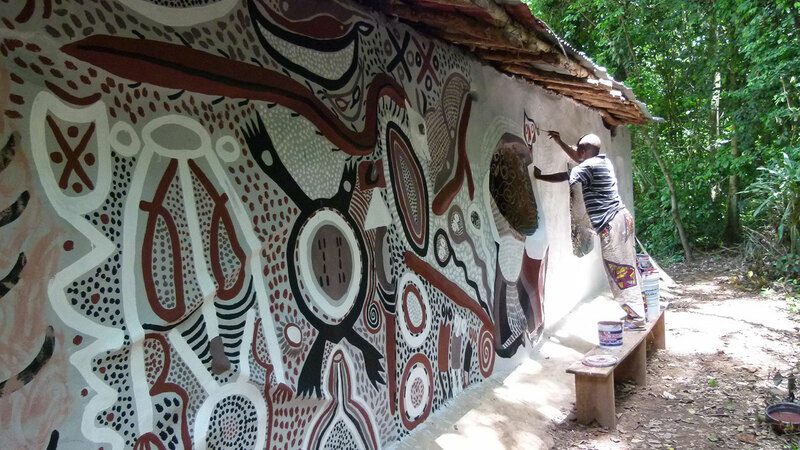 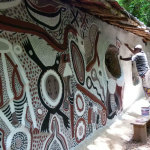 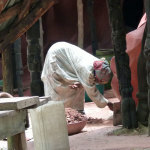 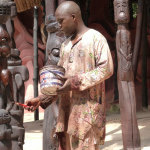 Very sadly, during the 7 month restoration, Saka, one of the first artists to be mentored by Susanne, passed away. 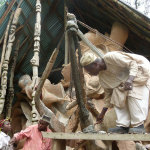 The AOT thanks Julius Berger Plc for its generous financial support. 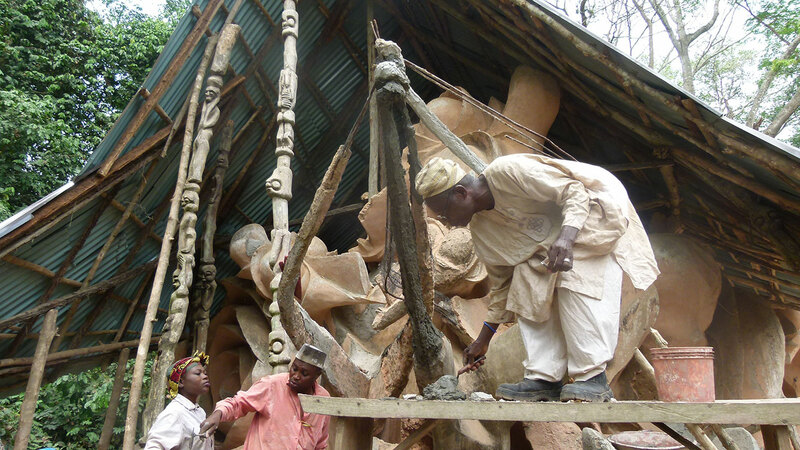 Julius Berger also is creating a 3D scan which, when completed, will allow people to experience a “virtual” tour of this extraordinary site.